With UK businesses remaining optimistic that growth will continue, a study of decision makers in the UK, conducted by Opinium Research for EMC, highlighted that almost two thirds of respondents felt that making better use of data will be key to unlocking the next wave of growth for their organisation. 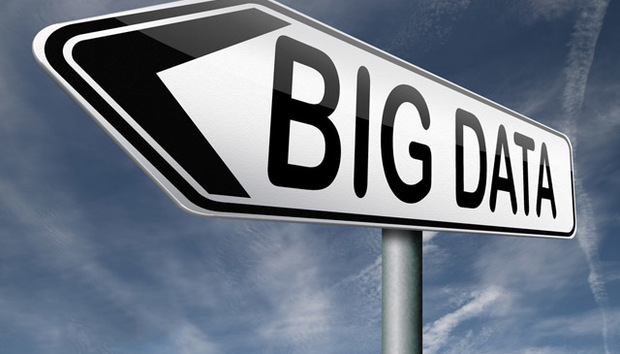 The research, entitled ‘The Big Data League’, ranked industries across finance, retail, manufacturing, public sector and technology/media/telecoms to assess their readiness to embrace big data. The results highlight how UK organisations across sectors are grappling with the challenges around having the right skills, infrastructure and leadership in place in order to succeed. And it should come as no surprise. The volume of data that organisations generate has exploded with reams of data flowing through financial transactions and customer interactions that cascade in at unparalleled rates from new devices and multiple points along the value chain. All of this information has the opportunity to transform each and every business in the UK, delivering a new era of accelerated growth in an uncertain, hyper-competitive market context. 1. Is there commitment from the leadership team? In the same study, 61% claimed the potential to drive new revenue streams was one of the key business drivers to help their organisation prioritise data analysis and use. Other key business priorities include the potential to make more money and drive growth (55%), and the need to be able to better understand their customers (52%). This move away from seeing the potential for and use of data as the responsibility of IT or an operational silo is something that UK industry giants like J. Sainsbury’s, HSBC and Sage Group all recognise. At Sainsbury’s for example, the Chief Executive, Group Commercial Director and Chief Financial Officer all comment on the market and current trading at each meeting and present comparative data and customer insight. This view from the top demonstrates how, despite a challenging environment, making sense of data to drive new business opportunities is fundamental to long-term commercial success, and that requires clear leadership and vision. 2. Are the right skills in place? In any line of business, skills and skills sharing are a key part of the discussion for businesses looking to get ahead, so it’s telling that from the same respondents of UK decision makers, 38% of businesses are recruiting data scientists or business intelligence experts. But the availability of data scientists with the analytical skills/tools to transform data into insight will become more and more scarce. The skills required for retrospective ‘business analytics’ of old are very different to the exploratory, predictive data analytics capabilities required by businesses today; it’s not so much about understanding the trends of the past six months as it is about predicting the outcomes of the next six months. A report released last year by e-skills UK estimated that 69,000 big data specialists will be needed in the public and private sector by 2017, an increase of 243% on current figures. It will be up to UK businesses to encourage potential new graduates in science, technology, engineering and maths subjects that they could be the rock stars of the 21st century, with demand for their services like never before. 3. Do you feel the need for speed in data analysis? Speed has always been a crucial factor in how organisations build a competitive advantage for themselves. Take the financial services industry for example, where Big Data is directly tied to the rising importance of information management as a function within financial institutions. Consider, in particular, the responsibility of financial institutions to manage risk in their lending and investments. The organisation that is capable of using data analytics to keep tabs of risk exposure to a precise degree is capable of more intelligent fund allocation to investments and risk mitigation when it comes to exposure in different markets, making it ultimately more profitable than its rivals, who either have to hedge a greater proportion of their funds under management or risk over-exposing their business to financial risk and regulatory penalties. Anything less than a real-time capability here will be unacceptable. Across the UK, the majority of respondents (38%) feel the analysis of large data sets could be done in hours, rather than the minority of 4% that feel it could be done in seconds. This further highlights the need for UK organisations to invest in the systems that deliver real-time analysis capabilities to organisations in need of it. 4. Is your infrastructure ready? With businesses turning to big data to provide revenue opportunities and uncovering new customer insights, the level of technology infrastructure required to support this is increasingly sophisticated. It can involve a rethinking of the infrastructure, the tools and systems that IT has relied on for so many years. This change in complexity is something UK businesses are getting to grips with: just over half (57%) of respondents felt their organisation already has the infrastructure in place to embrace big data analytics, and just 2% felt they didn’t. From financial services to manufacturing and public sector, there are very few organisations that shouldn’t be looking to big data to transform the way they do business. Take retail as an example: it’s the run up to Christmas and the must have video game of the year is flying off the shelves. In the past, the stores that reacted to this demand the fastest had the advantage. But today, big data is giving organisations an advantage, predicting trends and preparing for future demand before it happens, identifying who will buy the product and where they are. This predictive modelling is changing industries. Data is shaping our advances more than ever and now is the time to invest in the people, processes and systems which will underpin the business as a whole and ensure UK businesses aren’t left behind in the global race for growth.